Nine Parchments is a very fast-paced game about a group of ragtag truant wizarding students going out into the world to look for some missing spell parchments, and while they encounter terrible foes and breath-taking vistas, any dramatic moments of confronting difficult narrative choices (other than, should I throw a fireball at my friend or not) are less than featured in the game’s short, sweet and few cutscenes. To match the game’s lively speed and our intention that you would like to experience the action more than just once, we wrote you some Party Banters. You may have seen glimpses of our Bosses in a recent trailer. In each level after these encounters, there are spots of longer dialogue for our students. If they are alone, they will talk to themselves about their quest to complete their spellbooks, and what motivates them. If they are with another character, they will engage in conversations with them about their personal differences, grievances, questions, histories, similarities and mutual interests. And if you have three or four different characters in your study group, they will shed a little bit more light on what is going on in the world, why is everything trying to kill them, and what happened to the Astral Academy library to cause their current situation. To discover everything you want to know about your favourite character in the game, it would be a good idea to quest with every other character in the game and find out what’s really bubbling under their facades! Each character has four different moods unique to themselves, but all vary from happy and chirpy to dark and more or less troubled. If you’re playing in a group with many instances of a single character, you can set yourself apart not only with a hat, but picking a mood the other players haven’t chosen yet! Nine Parchments will attempt to draw you into the adventure more often than just the first time, and we thought all these small touches of variation would be a fun little way to flesh out the details of our light-hearted story as you embark on your quest of completing your spellbook. 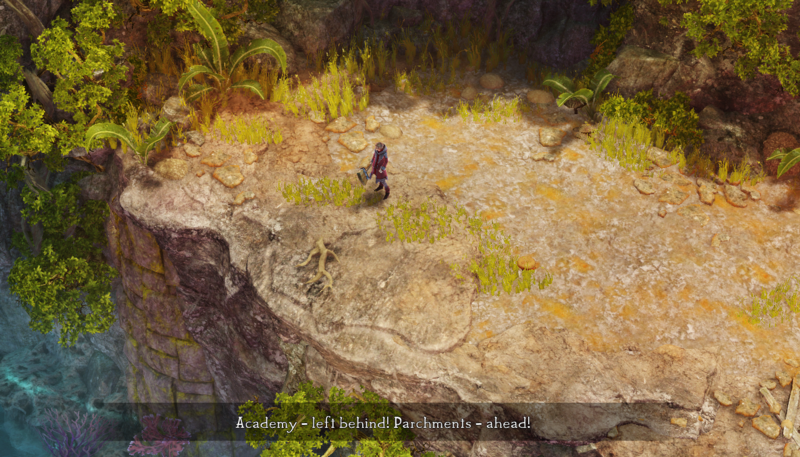 In the coming weeks, we’ll be exploring in better detail the features of Nine Parchments, so watch this space! Me and my daughter played your demo game ladst night. We really enjoyed it except we found it very difficult. I am wondering if you will have different modes like easy, medium and hard. Hi, played the demo and got the digital version as soon as it’s out. For Nintendo switch version, there is no option to configure controller setting for the “blink” move once the switch controller is set to the horizontal joy con mode. Please rectify this.